Many Indian communities of the northern plains lie in harsh, resource-poor regions where fresh fruits and vegetables are either very expensive or simply unavailable. As a result, disabling illnesses such as diabetes, heart disease, and cancer are rampant on reservations. Healthy and nutritious foods play an important role in preventing and controlling these chronic diseases. 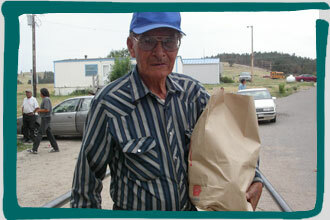 Native American Aid works with regional growers to ensure that fresh produce is delivered to Native American communities in South Dakota and surrounding states. How can I help? to remote Northern Plains reservations. 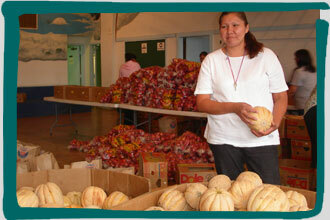 Program Partners on each reservation help NAA accommodate local food preferences while providing healthy food choices. Community volunteers  sometimes three generations of each family  stand alongside NAA staff to sort the produce into equal packages. Distribution centers open to elders first and then to other residents. Winnfred, a volunteer at a recent distribution on Pine Ridge Reservation, noted that the produce given to each family would have easily cost $15 at the local store. Extra supplies are especially appreciated at the end of the month, when many are running low on cash. and manage diabetes, heart disease, and cancer. 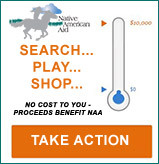 NAA does it to help Indian families help themselves.